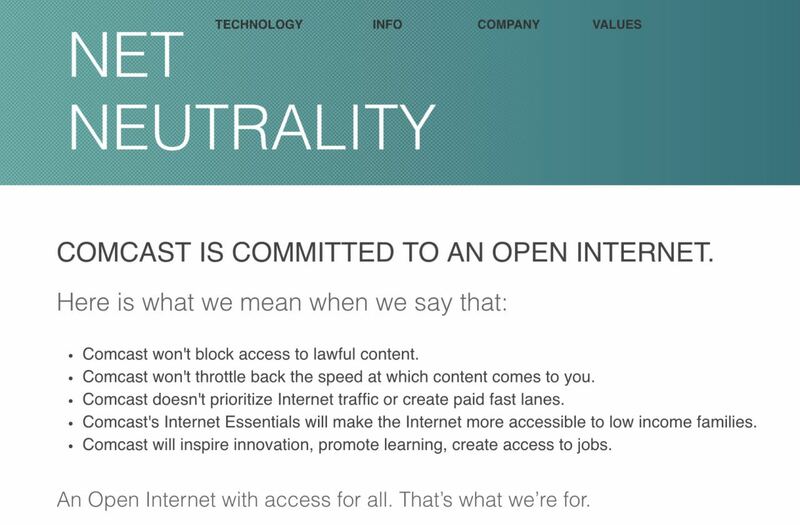 The biggest lie is the statement that "free-market" has failed and that we need NN to protect consumers. Regulations are what killed free market. This was told a LONG TIME ago. Since the free-market was murdered before most of us were born, it's a lie to call the monopolies of the Telco's a failure of the free-market. 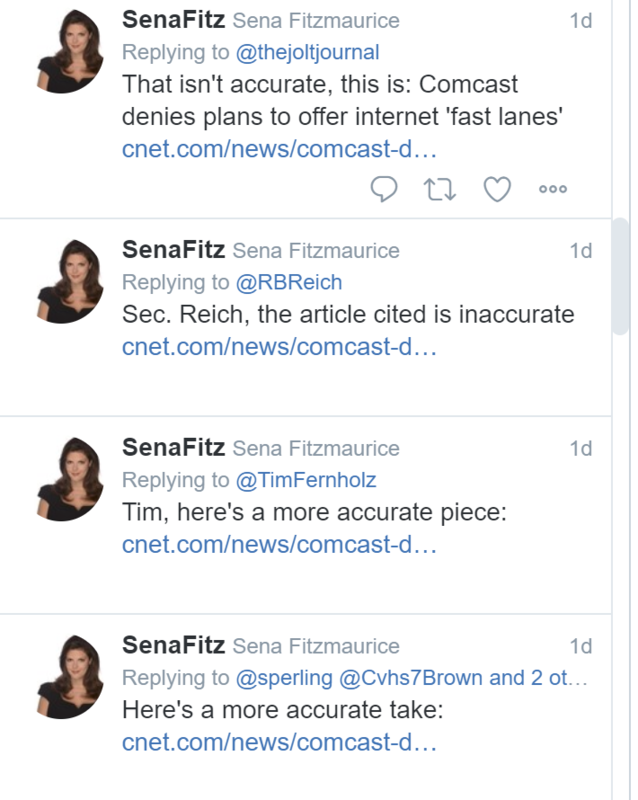 The story that we need NN to protect consumers is a lie as well. 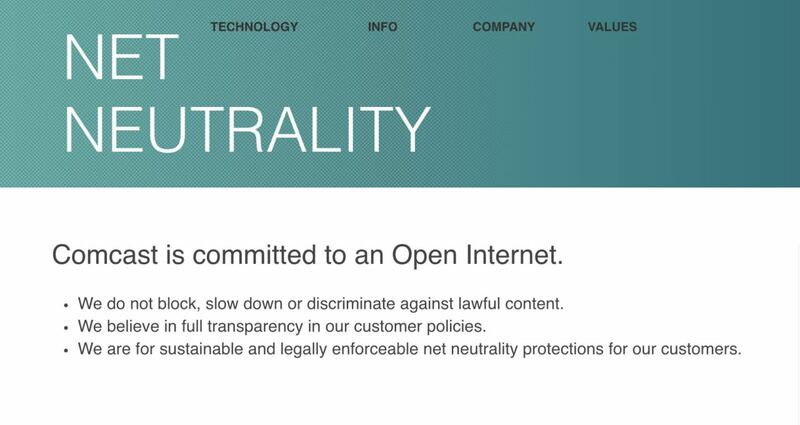 NN still allows for Zero Rating, it is not nearly the protection they are "advancing" it to be. TD has also posted its own Articles about the risks of Zero Rating. "it would at least show me what I am not seeing." My big question is how you CAN'T see these whoppers? The FCC has been in power since 1934 and has been regulating for more than 80+ years now. Ma Bell and ATT monopolies were built before & during the FCC. The FCC also officially states that they intend to regulate them as "natural monopolies"
Which leads to the 3rd lie, where the claims that regulation is required to protect people from monopolies. It's NOT! the only protection we require from a monopoly is low barriers to market entry for businesses. The other problem comes to natural monopolies. They quantitatively different from a regular monopoly and Those "DO" require SOME regulation... because the tunnels and polls for the cables to be run on should not be privately owned. This comprises the infrastructure and last mile and also is part of how google fiber we stonewalled in its deployments. The truth is that regulations are being used to cement big business and TD and its crowd of pro NN supports are not understanding that. If we are going to have regulations... they need to be focused on keeping the market as free as reasonably possible so that consumers have a REAL choice of ISP's. The choice of which one they want to buy from or even the choice to create one of their own! But we are very far from that stage in this argument because the Pro NN crowd has ignorantly allow Big Business to push us ALL onto the backs of our heels. They could not even poor piss out of a boot if the instructions were on the heel!